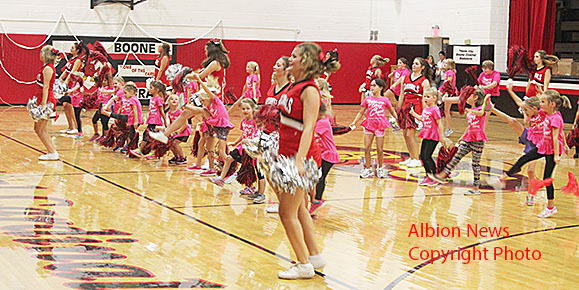 With fall sports seasons set to begin this week, the fans and teams got together to cheer on each other at the Boone Central High School Fall Pep Rally and Hot Dog Feed last Friday night, Aug. 19 in the school gym. Above, the high school cheerleaders and junior cheerleaders performed cheers together to open the season. First competitions of the season were this week.